I have enjoyed using redbox for several years. It is always nice to be able to get a rental for very cheap, especially if the rental is only needed for a day (since redbox charges by the day, if the rental is needed for more than a couple days then blockbuster can be cheaper). I was disappointed when redbox recently raised their prices, but they are still pretty reasonable. Having the option of regular DVD or blue ray is also a great option (blue ray costs a little more). The downside to redbox is that they often do not have specific movies available. Simply because of the limited size of the actual container holding the movies, they cannot have a huge selection of different titles, particularly if they have multiples of more popular titles. On top of this, it sometimes takes awhile to get new releases, even if they are available in another place. But as long as the desired movie is available, then redbox is a great option. Redbox is very convenient. I can go online and hold whatever movie I want to see and pick it up at the Redbox where it is located. One swipe of my card and I have my movie, which conveniently enough can be returned at any Redbox location, not just the one you rented it from. There are kiosks everywhere, outside and inside stores and gas stations. They have new releases and older movies alike. You can also get blue rays, not just regular DVD's. With that said there are some downfalls to Redbox. They only get so many new releases and they get rented very fast so you might have to wait quite a while to get the movie you want. Also not everyone takes care of the rentals, or some give them to their kids to play with it seems. I have rented quite a few movies that were so scratched up they would not play. They really should have some sort of policy where if you scratch up a movie you should buy it, ruins if for the rest of us. Overall though good concept and way cheaper than pay per view. Redbox is not as great as it used to be. When they first starting putting the kiosks out, I thought this was the best thing to happen to video rentals. It was simple to order as movie, and they had a great selection. Redbox was the only option for movies besides video rental stores. The stores were huge, and it took forever to look through all the options. Redbox was fast and cheaper. Now that there are online services for video rental, Redbox is not the best option. Occasionally, I get gift codes to use at the Redbox kiosk, but it's impossible to find one anymore. They used to have them outside of almost every grocery store where I live, but now there are only two in my town. When I do find one, they don't have a big selection. Sometimes the movies that they do carry are not even in the kiosk. 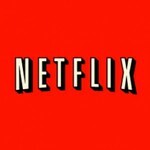 It's cheaper to subscribe to a Netflix or other service instead of getting Redbox movies because you don't have to spend money on gas to get there. Just about the only video rental we use right now is Redbox. My favorite feature is being able to rent from one Redbox and return to another. Just last night on our way home from shopping we stopped at a Redbox about 45 minutes from our home, we picked our movie and headed home. Today I only have to run five minutes down the street and return it to the Redbox by my house or my husband can drop it at the one by his work. It's great, and I don't have to unload all my kids out of the car to run in a video store. They have a great selection, and I like that I can reserve a movie early in the day then pick it up later. You can't beat the prices. I don't think anywhere is as inexpensive as Redbox. Redbox also sends out a lot of free codes. You can't reserve with a free code so it's hard to get a new release free, but it's still great to get a free rental. Redbox also confirms pickups and returns with an email. I like this since both my husband and I use it. It helps me keep track. A great way to get the movie you're wanting to rent! It has all the new movie releases out but sometimes you have to go from one redbox to another because they're out of the movie you were wanting. You can look on their website to find out which redbox has the movie you're wanting. You are also able to purchase it online and then go pick up at the location so that no one else rents it before you get there. That makes it so much easier! Simple to use and great for quick rentals! Redbox is one of the most brilliant things to ever be made! 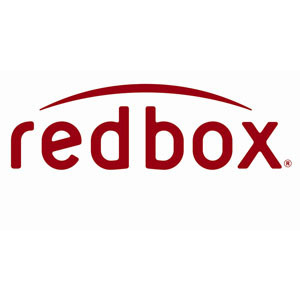 We use Redbox quite frequently and absolutely love it! It's very simple to use, both at the kiosk itself and on their website! They usually keep a great stock of new releases and also include some great classics on occasion! They have a wide range of genres from family, drama, suspense, comedy, romance, etc. My favorite feature of redbox is their online site and phone app! You have the capability to search for a movie and find the closest kiosk that has the movie "in stock". Or, you can find the closest kiosk and see what movies are available. 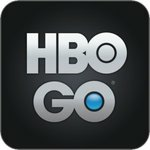 You can also read the movie description, reviews, and ratings on both the phone app and their online site! Another great feature that Redbox has is that you can rent video games as well! This is great if a new game has come out and you want to try it before purchasing it! The rental fee for games is a little higher than a movie rental, but it's worth it! 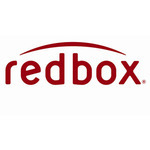 Redbox is also very good about special offers - free codes, rent two and get one free, etc. If you sign up for their e-mails, they always e-mail updates and newly released to Redbox information! Overall, we love Redbox! It's been great for all members of our family!